Think feta is just for Greek salads? Then it’s time to broaden your horizons. 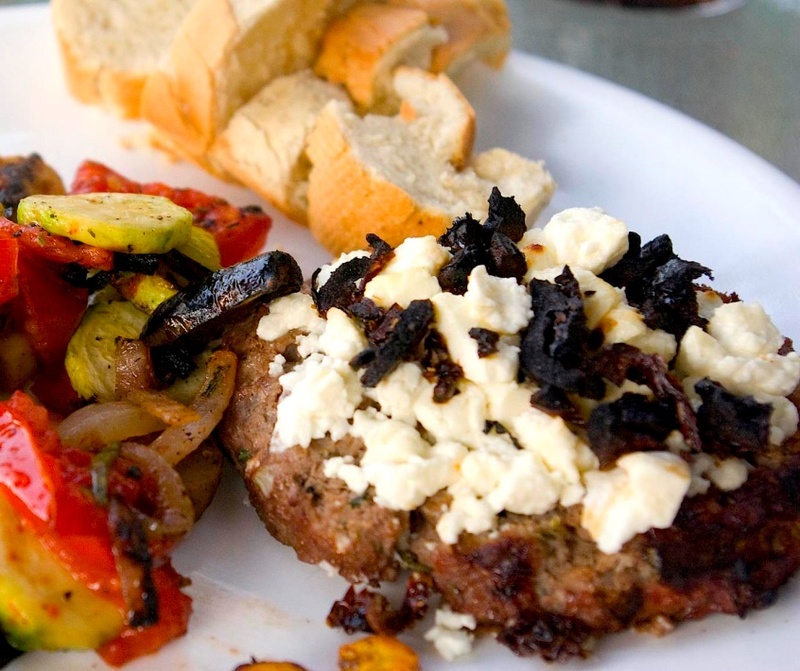 This is a very versatile cheese and there are SO many ways to use feta. Traditionally it is coupled with vegetables cooked in olive oil and tomato sauce. 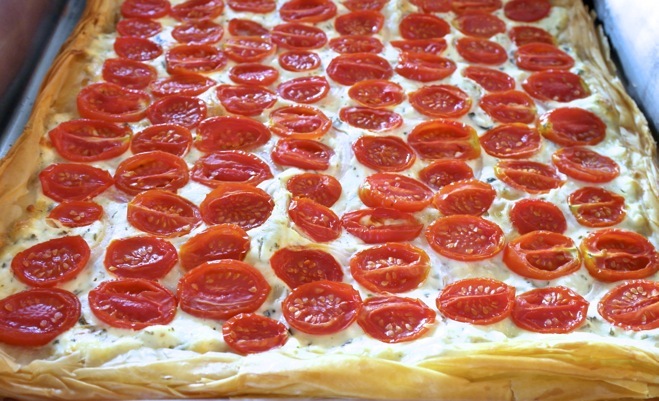 Another common use of feta is in savory pies. It is added to almost every single pie such as spinach pie leek pie. Sprinkled over fried, mashed, baked, or scalloped potatoes. 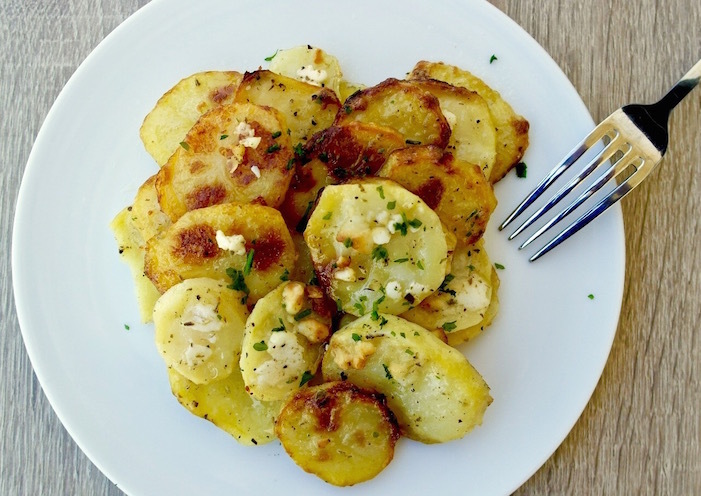 The tang of feta compliments the flavor of spuds well. 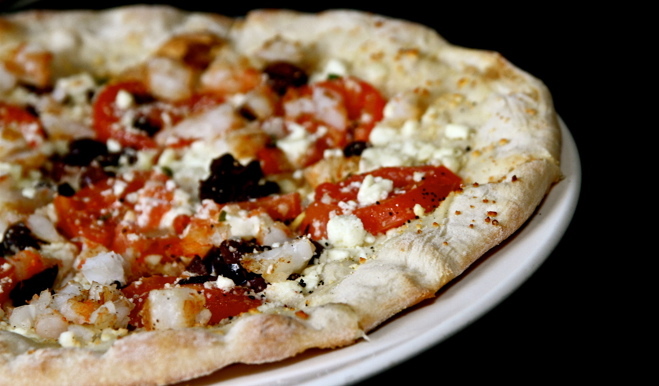 Or how about using feta on pizza rather than the traditional mozzarella? 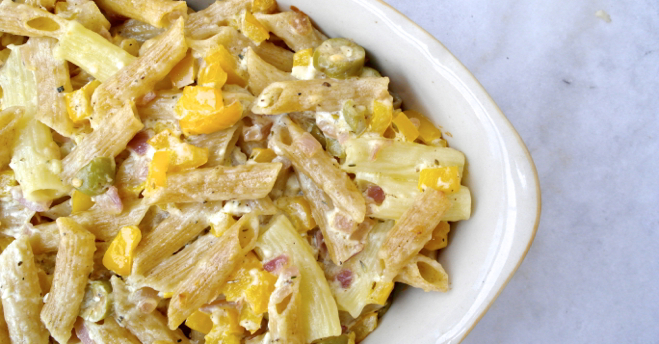 It’s especially yummy when paired with olives, artichokes, and sun-dried tomatoes. And what about including it in a sandwich? Just drizzle the inside of a baguette with olive oil and vinegar. Sprinkle some oregano and top with a slice of feta. 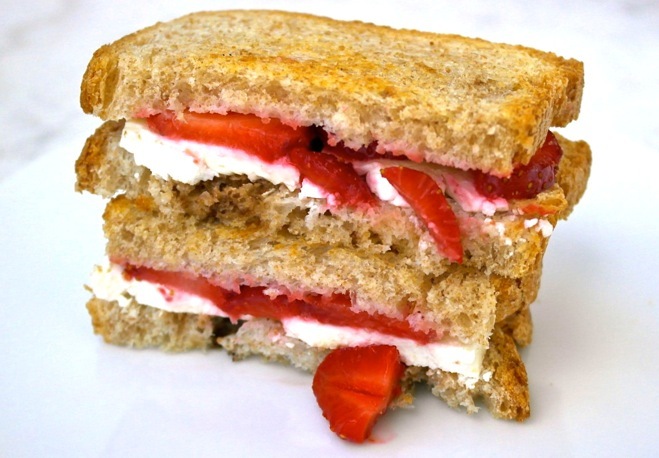 Or in grilled cheese, use feta instead of Cheddar and olive oil instead of butter. Then there’s using it as a stuffing. 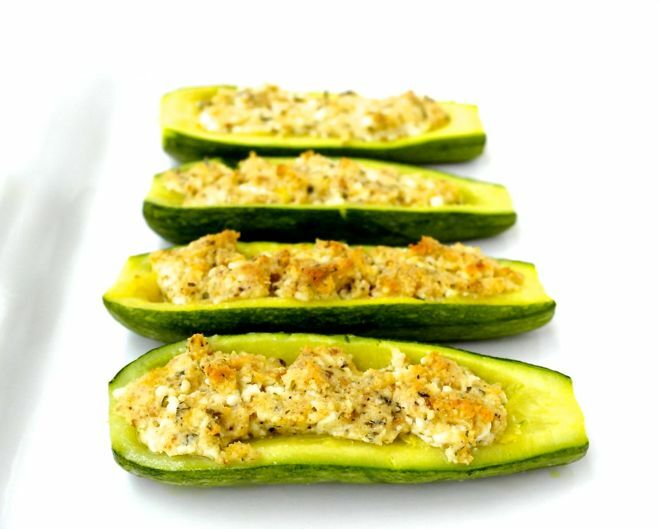 There’s not a veggie that tastes better than baked zucchini halves stuffed with a combination of lots of feta, toasted bread crumbs, minced garlic, chopped oregano, and olive oil. This is so easy, you don’t need a recipe. I use a ratio of 2 to 1. Two parts crumbled feta to 1 part breadcrumbs. Two minced garlic cloves to 1 teaspoon chopped oregano. And then enough olive oil to hold it all together. But if you like the idea, play around with it to suit your taste buds. 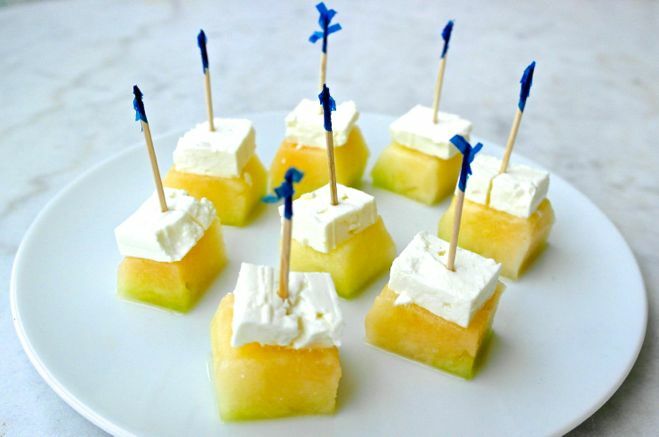 Feta is especially lovely when paired with fruit. We love it with pineapple or apple chunks. But it also goes well with watermelon, grapes, and cantaloupe. 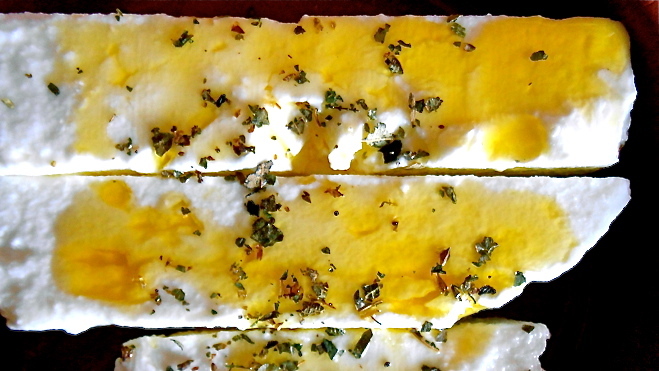 You can also grill strips of feta in your oven with a few herbs, some pepper, and maybe a dash of olive oil. This makes a fun and surprising appetizer. 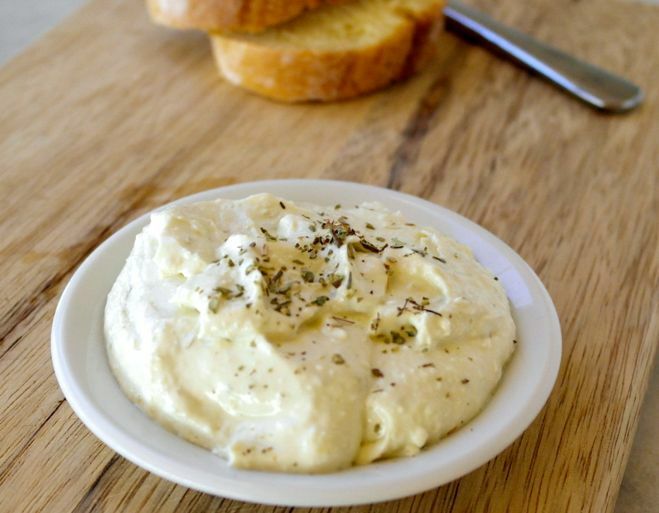 Feta adds a scrumptious flavor punch to any dip, such as ranch. 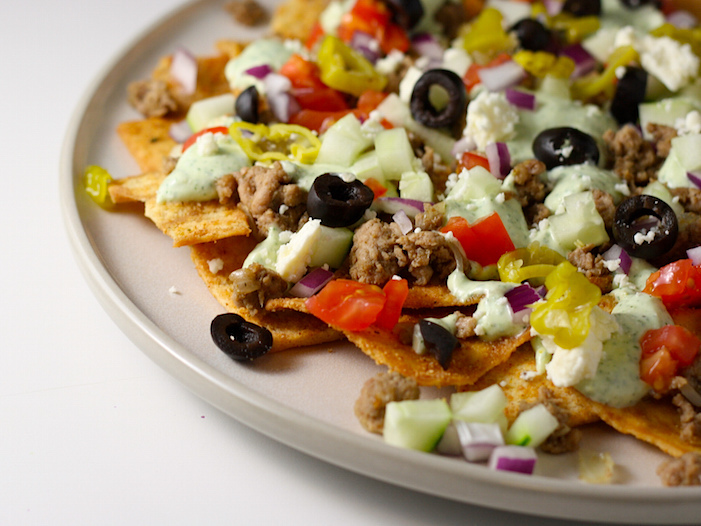 And how about breaking from tradition by substituting feta for Cheddar in your nachos? This unsuspected tang really brings nachos to life. It’s terrific on pasta. We experimented with this idea by adding 1 cup of crumbled feta to our Alfredo sauce and everyone raved! 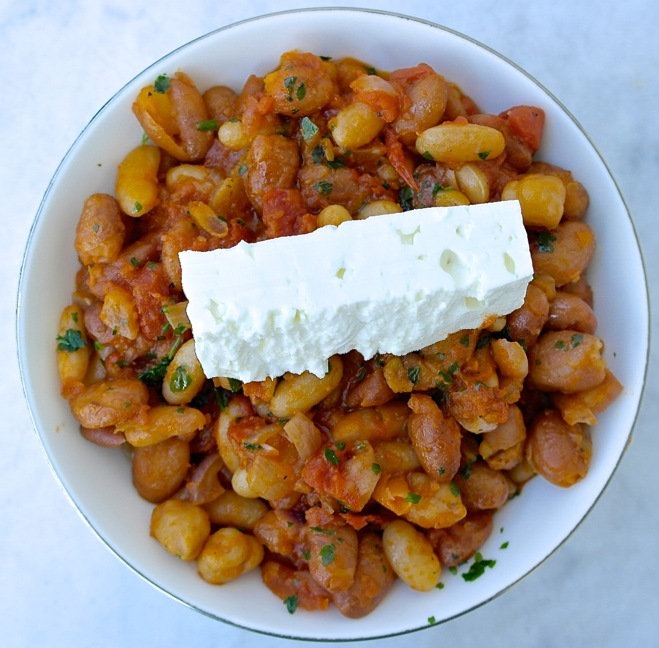 Feta also pairs beautifully with lentils and broad beans. And when it comes to grilled burgers, we’ll never go back to American or Cheddar cheeses. Feta takes a burger from OK to holy cow! Feta also sparkles in a spinach or leek quiche or tart. Top with halved grape tomatoes and you have a hearty, satisfying meal. Finally, one of the best ideas yet: feta in a savory muffin (a BIG thank you to the site, Olive Tomato for sharing). I’ll close with the recipe and my encouragement to give feta more opportunity to add shine and sparkle to your recipes. There are SO many ways to use this delightful cheese! 3. Grate the zucchini, place in a colander and salt lightly, let it sit for about 10 minutes. Squeeze as much water as you can from the zucchini and place in a bowl. 4. In another bowl beat the eggs, add the cheese onion, parsley, dill, mint, pepper and olive oil. Mix well and then add the breadcrumbs and mix some more. 5. Add mixture to zucchini and mix well, mash with a fork to combine all ingredients well. 6. Divide mixture in a 12 muffin pan, about 1 ½ tablespoons each. 7. Bake for about 25-30 minutes. They will golden brown on the outside and soft inside. 8. 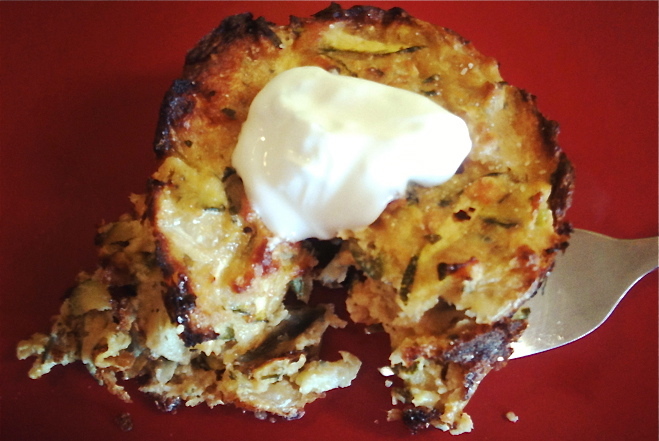 To serve, top each muffin with a dollop of whole fat, plain Greek yogurt.